FCL Ambiente srl - the firm that sent 1140 trash containers in Macedonia? A deep mystery the road leading from Italy to Macedonia, passing through Albania. Is an international mystery the story fo the containers filled with trash, from Italy to be eliminated in Former Yugoslav Republik of Macedonia. The mystery affects a firm located in Forsinone, "FCL Ambiente srl", based in the industrial area where the remains would be sent. According to the news emerged on the website Pianeta Italia Roma News, later republished in the Albanian, Greek, and Macedonian press, the investigations have started in Italy. But in this case is being investigated the Anti-Mafia Directorate District of Rome. The investigations are secret, so that no one answered the question on containers lost at the joint press conference of Italy and Albanian Prosecutors - Franco Roberti and Adriatik Llalla in Tirana. So far it is known that, in 2016, 1300 containers with about 30 thousand tons of trash were removed from Gioia Tauro, with the official destination in Macedonia, but never got to this destination. This landfill is managed by Fcl firm. The latter, as is writen on the website of the company, headquartered at Armando Vona has only one administrator, Massimiliano Ferrazzolin, it is a corporation belonging to the financial group Centro Lazio spa, with headquarters in Rome. 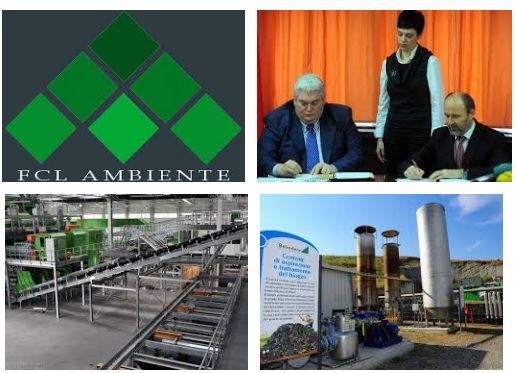 FCL Ambiente, in January 2013, by investing 73 million euros, won the international tender for the privatization of the Drisala landfill in Skopje, one of the largest in Europe. Skopje municipality has a 20 percent stake. Lazio Centro Group has a 600 thousand euro capital. Must be said that the company is not in the center of the investigation, because was the destination where the remains would be sent. The most reliable hypothesis is that the waste came under Durres route, but in Macedonia are sent only 1140 containers from 2604. What about the others? At this point comes the suspicion may have been treated illegally in Albania, burned or buried.